Ramya M, Kayalvizhi M, Haripriya G, Rathinasabapathi P(2018) Detection of microcystin-producing cyanobacteria in water samples using loop-mediated isothermal amplification targeting mcyB gene. 3 Biotech. 2018 Sep;8(9):378. doi: 10.1007/s13205-018-1402-0. Rathinasabapathi Pasupathi, Natarajan Purushothaman, Madasamy Parani (2016) Genome-wide DNA polymorphisms in Kavuni, a traditional rice cultivar with nutritional and therapeutic properties, Genome, 59 (3), 363-366. Anjali, Vignesh, KeerthanaRagavi, Rathinasabapathi (2016) New Strategies toward Edible Vaccines: An Overview, Journal of dietary supplements, 1-16. Rex Arunraj, Moorthy Abiramavalli, Pasupathy Rathinasabapathi (2015) DNA barcoding identifies the component species in the powder formulations of plant-derived raw drugs sold in the retail market in India. Research Journal of Biotechnology 11(3), 100-107. Mirnalini, Rathinasabapathi.P, Rex Arunraj, Muralidharan.A (2013) Relative variability in transformational efficiency of CaCl2, MgCl2, Tris-HCl, and Tris EDTA in Eschericia coli and Agrobacterium tumefaciens. Indian Journal of Applied Research. 3(5): 214 – 216. DevadasSamyukthaa, Rathinasabapathi .P (2013) On Field Detection of White Spot Syndrome Virus (WSSV) infected Shrimp using Loop-Mediated Isothermal Amplification. Research Journal of Biotechnology 8(6): 13-17. Co-Principle Investigator in the funded project titled “Development of a diagnostic method based on Loop-mediated Isothermal amplification (LAMP) for rapid and early detection of Leptospirosis” received from Indian Council for Medical Research (ICMR), Government of India; Duration: 2017-2020. Principle Investigator in Development of on-field detection kit for virus affecting Cucurbitaceous plants from “Selective Excellence Initiative, SRM IST” ; Duration: 2017-2019. Parasuraman. N, Parani. 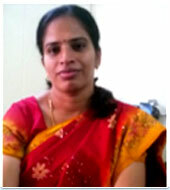 M, Rajalakshmi. S, Rathinasabapathi. P, Parida A. Youth and Shaping the Future of Science for Societal Needs- Proceeding of the First Indian Youth Science Congress, 2010, ISBN : 978-81-88355-20-4. Detection of the pathogen using microfluidics. Vice-President, Genetic Engineering Association, SRM Institute of Science and Technology. Book chapter in Experimental Phytochemical techniques, (ISBN-9380235941) Edited by Raaman, N, New India Publishing Agency, New Delhi, (2011), An Antifungal, Low Molecular Weight Protein from Leaves of a Medicinal Herb Mentha viridis L.436. Book chapter in Biotechnological Applications of Quorum Sensing Inhibitors, ISBN: 978-981-10-9025-7, Edited by V. C. Kalia, Springer Nature, Publishing agency, Singapore, (2018). Scope of Pathogenesis-Related Proteins Produced by Plants in Interrupting Quorum Sensing Signalling. Book chapter in Quorum Sensing and its Biotechnological Applications, ISBN: 978-981-13-0847-5, Edited by V. C. Kalia, Springer Nature, Publishing agency, Singapore, (2018). Applications of Quorum Sensing in Microbial fuel cell. Associate Professor in Department of Biotechnology, School of Bioengineering, SRM Institute of Science and Technology (formerly known as SRM University), India from January - 2018 to till now. Visiting faculty in Metabolomics, Proteomics and Mass Spectrometry Core Facilities, University of Utah, Salt Lake City, UT 84112-5650, USA from August – 2017 to December - 2017. Assistant Professor in Department of Biotechnology, School of Bioengineering, SRM Institute of Science and Technology (formerly known as SRM University), India from November – 2011 to December - 2017. Assistant Professor (Inter Disciplinary - School of Indian System of Medicine) in SRM Institute of Science and Technology (formerly known as SRM University) – India from March - 2011 to November - 2011. 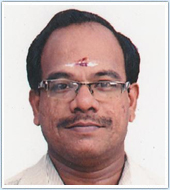 Assistant Professor (Sr - grade), Bharath University, Chennai from September 1996 to May 2013. Recipient of German Scholarship for Under Graduation. University II Rank in both Under Graduation and Post Graduation. A. Padmarekha, J. M. Krishnan, 2011, Experimental Investigations on High Temperature Transition of Asphalt, Construction and Building Materials 25, 4221- 4231. A. Padmarekha and J. M. Krishnan, 2011, Experimental Investigation on Sol - Gel Transition of Asphalt, International Journal of Advances in Engineering Sciences and Applied Mathematics, 3(1–4), 131-139. A. Padmarekha and J. M. Krishnan. 2013, Viscoelastic transition of unaged and aged asphalt, Journal of Materials in Civil Engineering, 25(12), 1852–1863. A. Padmarekha, C. Kanmani, U. Saravanan, A. P. Deshpande and J. M. Krishnan, 2013, Large Amplitude Oscillatory Shear of Unmodified and Modified Asphalt Binders, International Journal Road Materials and Pavement Design, 14, 12-24. Yoga Priyadharshini, Sonal Maheshwari, A. Padmarekha, J. Murali Krishnan, Effect of Mixing and Compaction Temperature on Dynamic Modulus of Modified Binder Bituminous Mixtures, 2013, Procedia - Social and Behavioral Sciences, 104, 12-20. Arpan Ghosh, A. Padmarekha, J. Murali Krishnan, Implementation and Proof-checking of Mechanistic-empirical Pavement Design for Indian Highways Using AASHTOWARE Pavement ME Design Software, 2013, Procedia - Social and Behavioral Sciences, 104, 119-128. 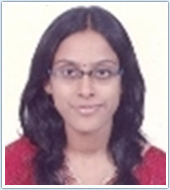 T Pavitra, Jezna Fatima, A. Padmarekha, and J. M. Krishnan, Linear Viscoelastic Limits for Determination of Dynamic Modulus of Bituminous Concrete Mixture in AMPT, accepted for presentation in Airfield and Highway Pavement Conference, June 9-12, 2013, Los Angeles, CA. A. Padmarekha, C. Kanmani, U. Saravanan, A. P. Deshpande and J Murali Krishnan, Large Amplitude Oscillatory Shear of Unmodified and Modified Asphalt Binders, accepted for publication in conference proceeding, 5th eata conference, June 3-5, 2013, Braunschweig, Germany. A. Padmarekha and J. M. Krishnan, Role of Temperature in Performance of Bituminous Pavement, September, 2012, NBM&CW magazine on Infrastructure. A. Padmarekha and J. M. Krishnan, Linear viscoelastic properties of blended asphalt, 5th International Conference on Bituminous Mixtures and Pavements, 45-55, Thessaloniki, Greece, 1-3 June 2011. A. Padmarekha and J. M. Krishnan, Study on frequency dependency of sol-gel transition of asphalt, 398 - 408, First T&DI Congress conference, ASCE, Chicago, March 13-16, 2011. A. Padmarekha and J. M. Krishnan, Experimental Investigation on Sol - Gel Transition of Asphalt, Recent Advances in Mechanics, 191 - 203, IITM, Chennai, November 25-27, 2010. K. Santosh Reddy, A. Padmarekha and J. M. Krishnan, Asphalt transitions in the 20-90 °C range, 115 - 123, MAIREPAV6, Italy, July 8-10, 2009. Assistant Professor, Vellore Institute of Technology, Vellore, June 2003- March 2013. Research Scholar, Indian Institute of Technology Madras, Chennai, December 2007-April 2012. Associate Professor, Vellore Institute of Technology, Vellore, April 20013 - Jan 2014. Project Officer, Indian Institute of Technology, Madras, Chennai, Feb 2014 to May 2014. Associate Professor, SRM Institute of Science and Technology (formerly known as SRM University), Kattankulatur since June 2014. V.K.N’s Thanthai Periyar Gold medal, 2000, for University rank holder in B.E. Shri Chandrasekara Saraswathi Swamigal Centenary Celebration Gold medal, 2000. Reddy PS, Indhu.B, Ganga G and Padmarekha A, 2017, DocumentDetermination of fatigue behaviour of concrete using GGBS and Robosand, International Journal of Civil Engineering and Technology, 8(4), 244-251. Varma, K. R., Padmarekha, A., Anjaneyulu, M. V. L. R., & Krishnan, J. M. (2016). Influence of Post-Processing Methods for Ranking of Fatigue Life of Bituminous Mixture. Transportation Research Procedia, 17, 567-575. Affiliation: School of Media Studies, Department of Visual Communication, Faculty of Science and Humanities, Kattankulathur Campus, SRM Institute of Science and Technology (formerly known as SRM University). Journal: Criticism of Feministic Malayalam Movies: Discourse Analysis, Asian Journal of Nursing Education and Research, Research Journal of Humanities and Social Sciences. 9(1): January- March, 2018, ISSN 2321-5828 (Online) & 0975-6795 (Print). Journal: Social Media and Mobilization: A Conceptual Model With Special Reference to Kudankulam Nuclear Issue, Asian Journal of Nursing Education and Research, Research Journal of Humanities and Social Sciences. 9(1): January- March, 2018, ISSN 2321-5828 (Online) & 0975-6795 (Print). Participated in 3 Day workshop on Research Methodology in PSG Institute of Management Educations, Coimbatore, Tamil Nadu. September 18th & 20th 2014. Proficient in Statistics software SPSS for data mining and research empirical analysis. In-depth knowledge of Indesign, Photoshop, Corel Draw, Illustrator. Good Knowledge of Mixing Audio in Adobe Sound Booth and Editing Video in Premier CS, After Effects. Conference Secretary, First International Conference on Media and Visual Literacy at SRM Institute of Science and Technology on 1st & 2nd April, 2016. Conference Secretary, Second International Conference on Decentralized Media and Society at SRM Institute of Science and Technology on 12th & 13th October, 2017. Translational research and innovations for affordable and sustainable healthcare, Safe drinking water, nutrition & wellness, mother & child health leveraging local knowledge and resources. A novel Kit for authentication of naturally occurring raw drugs and finished products and semi-quantification of bioactive markers--Padma Venkatasubramanian and NischalKandepu. Butala MA, Kukkupuni SK, Venkatasubramanian P, Vishnuprasad CN. An Ayurvedic Anti-Diabetic Formulation Made from Curcuma longa L. and Emblica Officinalis L. Inhibits α-Amylase, α-Glucosidase, and Starch Digestion, In Vitro. Starch 2018, 1700182: 1-8. Sheeba G, Anjaneyulu J and Venkatasubramanian P. 2017. Drinking water contamination from peri-urban Bengaluru, India. Current Science, Vol.113, No.9. Sheeba G, Suguna Rao & Padma Venkatasubramanian. 2017. Safety evaluation of a traditional knowledge-based copper device for microbial purification of drinking water at home.Indian Journal of Traditional Knowledge Vol.16 (3) ,pp.519-523. Prakash BN, Annamalai PA, Naik M, Mahajan V, Gay F, Mathur A, Susanta G, Venkatasubramanian P.2016. A prospective comparative field study to evaluate the efficacy of a traditional plant-based malaria prophylaxis. JIntercultEthnopharmacol. 6(1): -doi: 10.5455/jice.20161112021406. Nagarajan M, Kuruvilla GR, Kumar KS, Venkatasubramanian P. 2015. A review of the pharmacology of Ativisha, Musta and their substitutes. Journal of Ayurveda and Integrative Medicine 6:53-63. Nagarajan M, Kuruvilla GR, Kumar KS, Venkatasubramanian P. 2015. Abhavapratinidhidravya: A comparative phytochemistry of Ativisha, Musta and related species. Journal of Ayurveda and Integrative Medicine DOI:10.4103/9476.146550. Jain R, Venkatasubramanian P. 2014. Proposed correlation of modern processing principles for Ayurvedic herbal drug manufacturing: A systematic review. Ancient Science of Life 34:8-15. Subrahmanya Kumar Kukkupuni,Aparna Shashikumar and Padma Venkatasubramanian. 2015. Fermented milk products: Probiotics of Ayurveda: accepted in the Journal of Medical Nutrition and Nutraceuticals 4: 14 -21. Prakash B Nagendrappa, Pradeepa M, Sowmya S, Nagarajan M, Padma venkatasubramanian. 2014. Standardization of a Traditional Polyherbal Malaria Prophylactic Formulation. Asian Journal of Biomedical and Pharmaceutical Sciences. 04 (28)13-19. Seethapathy GS, Balasubramani SP, Venkatasubramanian P. 2014. nrDNA ITS sequence based SCAR marker to authenticate Aconitum heterophyllum and Cyperusrotundus in Ayurvedic raw drug source and prepared herbal products. Food Chem 145:1015-20. Adams SJ, Arun S, Krishnamurthy KV, Nagarajan M, Padma V. 2014. Comparative Pharmacognostic and Phytochemical Study of Medicinal Plant Species Used as Gambhari in Ayurveda. Inventi Rapid: Planta Activa 3: 1-10. Umesh, K.T., Adams, S.J., Noorunnisa, B., Krishnamurthy, K.V., Ravikumar, K. and Padma, V. 2014. Pharmacognostic studies on two Himalayan species of traditional medicinal value: Allium wallichii and Allium stracheyi. Not Sci Biol 6(2):149-154. Balasubramani SP, Seethapathy GS, Venkatasubramanian P. 2011. Nuclear ribosomal DNA-ITS region based molecular markers to distinguish botanical entities traded as ‘Vidari’. J Herbal Medicine. 1(3-4): 83-89. Devaiah K, Balasubramani SP, Venkatasubramanian P. 2011. Development of RAPD based SCAR marker for identification of Ipomeamauritiana Jacq. (Convolvulaceae). Evidence Based Complementary and Alternative Medicine 2011. http://ecam.oxfordjournals.org/cgi/reprint/neq023. Balasubramani SP, Murugan R, Ravikumar K, Venkatasubramanian P. 2010. Development of ITS sequence based molecular marker to distinguish, Tribulus terrestris L. (Zygophyllaceae) from its adulterants. Fitoterapia. 81(6): 503-508. Devaiah KM, Venkatasubramanian P. 2008. Development of SCAR Marker for Authentication of Pueraria tuberosa( Roxb.ex.Willd.) DC. Current Science. 94(10). Paul Choudhury R, Md. Ibrahim A, Bharathi HN, Venkatasubramanian P. 2007. Quantitative analysis of embelin in MyrsineafricanaL. (Myrsinaceae) using HPLC and HPTLC--R. Electronic Journal of Food and Plants Chemistry.l. 2(1): 20-24. Venkatasubramanian P. 2007. Drug discovery in ayurveda- different ways of knowing. Phcog Mag.3 (10): 64. Preethi Sudha VB, Geeta UG, Venkatasubramanian P. 2004. Bioactivity of traditional preparation of Piper longumL.(Piperaceae). Journal of Tropical Medicinal Plants. 5(2). 179-182. L.Verotta, Maria Pia Macchi, Padma Venkatasubramanian.2015. “Connecting Indian Wisdom and Western Science: Plant Usage for Nutrition and Health”. CRC Press, Milan. Unnikrishnan Payyappallimana and Padma Venkatasubramanian. 2015, 15-36, Principles of Ayurveda for Food, Nutrition, and Health. Connecting Indian Wisdom and Western Science, CRC Press. Invited Lecture at the IUPAC International Conference on “Biodiversity and Natural Products: Chemistry and Medical Applications”, January 2004, New Delhi. Topic: Traditional Knowledge guided Quality Standardisation of Herbal Medicines. Dean, School of Public Health, SRM Institute of Science & Technology, from August 2018. Professor & Head, School of Integrative Health Sciences, Institute of Trans-disciplinary Health Sciences & Technology (ITD-HST), Bangalore, from Aug 2013-July 2018. Ph.D. Guide in Manipal University, SASTRA University, Christ University& TDU. 5 students have completed Ph.D.
Conceptualising MTech, MSc and MPharm projects and guiding students. Project Supervisor for Final year undergraduates at Cambridge University. Examiner in Final year undergraduate projects, Cambridge University; Ph.D. theses. Director, Institute of Ayurveda & Integrative Medicine (I-AIM) and Head, R&D, I-AIM, Bangalore, from March 2011-July 2013. Joint Director, R&D, Foundation for Revitalisation of Local Health Traditions, Bangalore, from June 2000-July 2013. Technical Partner in Prasiddh Consultants, Bangalore, from 1999-May 2000. Guide to Ph.D. students; project and summer students, industry, NGOs, community-based enterprises and local communities on product development, quality control and research findings of medicinal plants. Scholarship from McGill University, Canada, for Masters Degree in Health Management. Passed out in June 2014 with a Grade A. Recipient of Research Grant from National Geographic Society for study of “Contemporary relevance of Indian traditional Methods of Medicinal Plant Collection and Processing", December 2002. Recipient of Nehru Fellowship for Ph.D. in Cambridge University, UK (1986-89), awarded by Nehru Trust for Cambridge University and Cambridge Commonwealth Trust. Recipient of Overseas Research Scholarship awarded toward Ph.D. costs (1986-89). S.Padmini,D.V.Nikhil,M.Manoj Kumar,T.V.R.S. Deepak Reddy, Locational Marginal Pricing Analysis for Managing Congestion in a Restructured Power System“International Journal of pure and applied mathematics”, Vol 118,No 24(1), pp.1-8, 2018. S.Padmini, Dr.R.Jegatheesan, “A new model for Short-term Hydrothermal Scheduling of a GENCO in the competitive electricity market”, Indian Journal of Science and Technology, 9(46), Pg.1-6,2016. S.Padmini,K.Srikanth, “Optimal bidding strategy for hydrothermal scheduling in a deregulated energy markets”, International Journal of Control Theory and Applications , 9(16), Pg.7783-7788,2016. S.Souhardha, S.Padmini, M.Mohit Kumar, V.Gopi Kishan,”Modelling of Solar Panel for Efficiency Improvement with Tracking System”,International Journal of Control Theory and Applications, Vol.9 (16), pp.7691-7696, 2016. S.Padmini, V.S.Rajesh, N.Chandrakanth, V.Rajesh, “Locational marginal pricing of GENCOS in a deregulated energy market”, Indian Journal of Science and Technology, 9(44), Pg.1-5,2016. S.Padmini, Bikash Sahoo, “Analysis of LMP in a Competitive Electricity Market”, Joint International conference on Intelligent Computing and Applications (ICICA) and Power ,Circuit and Information Technologies,pp.48, 2018. S.Padmini,D.V.Nikhil,M.Manoj Kumar,T.V.R.S. Deepak Reddy, “ Locational Marginal Pricing Analysis for Managing Congestion in a Restructured Power System”, Joint International conference on Intelligent Computing and Applications (ICICA) and Power ,Circuit and Information Technologies,pp.31, 2018. S.Padmini, Md.Shafeulwara,” Solar Multipurpose Backpack” Joint International conference on Intelligent Computing and Applications (ICICA) and Power ,Circuit and Information Technologies,pp.18, 2018. S. Padmini, R. Jegatheesan, Deepak Francis Thayyil, “A Novel Method for solving multi-objective hydrothermal committment and scheduling for GENCO” Procedia Computer Science-Elseveir, vol.57,pg. 258-268,2015. S.Padmini,K.Srikanth,” Bidding strategies for the GENCOs in Perfect Competition and Oligopolistic market, “International Conference on Mathematical Computer Engineering” conducted at VIT university,14-15 Dec,2015. S.Padmini, R.Jegatheesan, Subhransu Sekhar Dash, C.Christober Asir Rajan,”Evolutionary programming based hydrothermal commitment scheduling for maximizing the profit of GENCO considering the effect of reserve in a deregulated market”, International Review of Electrical Engineering, Vol.8(4), pp.1279-1286, 2013. S.Padmini, R.Jegatheesan, Subhransu Sekhar Dash, S.Hemanth,”A new approach for solving hydrothermal unit commitment and scheduling for generating companies using particle swarm optimization”, International Review on modeling and simulations, Vol.7(1), pp. 142-151,2014. S.Padmini, R.Jegatheesan, Subhransu Sekhar Dash, S.Hemanth,” Short-Term Hydrothermal Scheduling of an Indian Utility System Using an Enhanced Bacterial Foraging Algorithm”, Lecture Notes in Electrical Engineering,Springer 2014. S. S.Padmini, Subhransu Sekhar Dash, Shruti Chandrasekhar and Priyanka Vedula,” Fuzzy logic control of differential protection technique for large power transformer”, International Conference on Power and Energy Systems(ICPES-2012),KalasalingamUniversity,Tamilnadu,India,Dec 13-15,2012. S.Padmini, Christober Asir Rajan, Subhronil Chaudhuri ,Arkita Chakraborty,” Optimal Scheduling of Short Term Hydrothermal Coordination for an Indian Utility System Using Genetic Algorithm” Advances in Intelligent Systems and Computing (AISC) series of Springer-pp-453-459, Dec 22-23,2012. S.Padmini, Christober Asir Rajan,” Application of differential evolution technique for short term hydrothermal scheduling and its comparison with other meta heuristic search algorithm, 715-722, International Conference on Power and Energy Systems(ICPES-2012). S.Padmini, Subhransu Sekhar Dash, Vijayalakshmi and Shruti Chandrasekhar,” Comparison of Simulated Annealing over Differential Evolutionary technique for 38 unit generator for economic load dispatch problem,100-104, National conference on Advances in Electrical Energy Applications. S.Padmini,S.Shahar,” Genco’s Strategies for Selling Power and Reserve For Hydro-Thermal commitment Scheduling”, National Conference On Applications Of AI Techniques For Hybrid Renewable Energy Systems,March 21-22 2013. S.Padmini,M.V.R Varun Kumar,” Short-Term Hydro-Thermal Scheduling Using an Enhanced Bacterial Foraging Algorithm”, National Conference On Applications Of AI Techniques For Hybrid Renewable Energy Systems,March 21-22 2013. S.Padmini,Teresa George and Dinesh Pillai, "Improved Genetic Algorithm for Optimal Power Dispatch in Multinode Deregulated Electricity Market” International Conference on Electrical Engineering and Computer Science (ICEECS)June12-13 2012. Sankaramurthy Padmini,Teresa George and Medepalli Sandeep, “Application of Particle Swarm Optimization for Combined Environmental and Economic Dispatch of IEEE 30 bus system using Fuzzy Logic Technique” . ( Artificial Intelligence and Soft Computing(AISC) series of Springer- Scopus Indexed) 5th -7th 2012,Computer Society of India,Visakhapatnam,pg-715-722,Jan5-7,2012. S.Padmini, Christober Asir Rajan,S.Pallavi Murthy, “Application of improved PSO Technique for Short term Hydrothermal Generation Scheduling of Power Systems” Lecture Notes in Computer Sciences-(LNCS-6467-Springer- Scopus Indexed),Volume-II,PP-176-182, Dec 19-21,2011. S. Padmini, Christober Asir Rajan, "Improved PSO for Short term Hydrothermal Scheduling" IET UK and Dr.MGR University Second International Conference on Sustainable Energy and Intelligent System (SEISCON 2011),Dr. M.G.R. University, Maduravoyal, Chennai, Tamil Nadu, India. July. 20-22, 2011. S.Padmini, Subhransu SekharDash and A.Rathinam, "Application Of Euclidean Distance Based Supervised & Competitive Learning Neural Network For Power Flow Problem. "BICA-09- SOA University, Bhubaneswar-Dec-21-23,2009. A.Rathinam, S.Padmini, "Application of Counterpropagation Neural Networks (CPNN) to Steadystate Security Evaluation of Power Systems", INCRUIS-2k8-Kongu Engineering College-,Jan 3-5,2008. A.Rathinam, S.Padmini, "Application Of Supervised Learning Artificial Neural Networks [CPNN, BPNN] for Solving Power Flow Problem",IET-UK International Conference on Information and Communication Technology in Electrical Sciences-ICTES-2007-Dr.MGR Engineering College Proceedings of the IEEE Conference,-Dec 20-22,2007. A.Rathinam, S.Padmini, "Composite Counterpropagation Neural Networks for Solving Power Flow Problem", ICCIMA07- MEPCO Engineering College, Proceedings of the IEEE Conference -Dec 13-15,2007. As Lecturer in SRM University from 01.07.2005 to 30.06.2009. As Lecturer in SRM Engineering College from 17.06.2004 to 30.06.2005. Session Chair for International Conference ICICA&ICPCIT-2018 at Velammal Engineering College. Session Chair for International Conference on Power ,Communications and Sustainable Energy Systems-ICPCSES-2018. Two days National Workshop on ” Digital Control of Power Electronic Systems using dSPACE”,SRM University,21-22 Sep 2017. Five days National Workshop on “Real Time System Simulation and Implementation Tools for Power Engineering Applications” dec18-22, 2017. One week ISTE SPONSORED STTP on “ Electrical Power System” @ NMEICT-IIT Kharagpur, July 10-15, 2017. Two week AICTE SPONSORED Faculty Development Programme on “ Analysis of Power System Protection and Automation Current Scenario” @ KCG College of Technology, Nov 26-Dec 9, 2017. One day Workshop on “Next Generation Communication System Design, Challenges and solution” conducted at ECE department in association with National Instruments at SRM Institute of Science and Technology (formerly known as SRM University),8 September, 2016. Two days Workshop on “DSP Applications in Power Engineering” conducted at SRM Institute of Science and Technology (formerly known as SRM University),11-12 February 2016. Two days Workshop on “Smart grid and Integration of Renewable Sources” conducted at SRM Institute of Science and Technology (formerly known as SRM University), 18-19 February 2016. One day Workshop on “Real Time Digital Simulation – RTDS” conducted at SRM Institute of Science and Technology (formerly known as SRM University),15-16 April 2016.
International Workshop on “Opportunities ,challenges and Issues in Smart Grid” conducted at SRM Institute of Science and Technology (formerly known as SRM University), 19-21 May 2016.
International workshop on “Aritificial intelligence and evolutionary computations in Engineering Systems” 19-21-May-2016. Faculty Development Programme on “ Design of Electrical Machines” @ Jerusalem College of Engineering, Dec 19-26, 2016. Paper presentation on Research day @SRM Kattankulathur campus,Chennai,SRM Institute of Science and Technology (formerly known as SRM University), 2014. Research day gold medal award winner for the year 2017-18. Research day silver medal award winner for the year 2016-17. Research day gold medal award winner for the year 2014-15. Teacher’s day paper presentation cash price 2014-15. Teacher’s day paper presentation cash price 2013-14. Teacher’s day paper presentation cash price 2012-13. Teacher’s day paper presentation cash price 2011-12.